People living with arthritis are far more likely to have depression and anxiety than the general population. There are many reasons for this connection: physical pain causes depression and inflammation plays an underlying role in both conditions. And having pain and fatigue can negatively affect social relationships and cause loneliness. The relationship between different kinds of arthritis and mental health issues like depression and anxiety is increasingly researched and recognized by doctors. But that doesn’t necessarily mean that critical conversations about mental health are happening between people living with arthritis and the doctors who treat them. 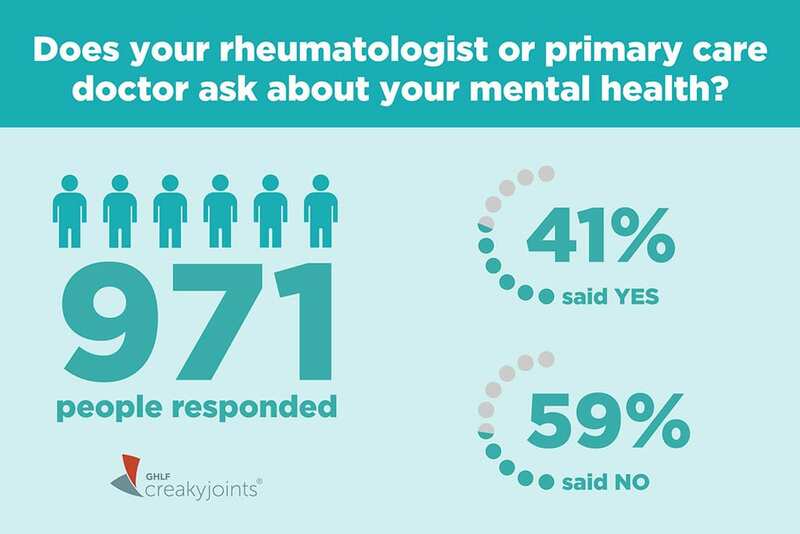 In fact, in our latest ArthritisPower Community Poll, we asked people if their rheumatologist or primary care doctor asks about their mental health. Of the 971 people who responded, 59 percent said no. First, know that rheumatologists and primary care doctors are actively talking among themselves about how to provide better screening, diagnosis, referrals, and treatment for mental health issues among people living with arthritis. A recent article in The Rheumatologist, a publication for doctors, acknowledged that it’s not necessarily your rheumatologist’s job to treat depression, but your rheum should acknowledge the problem and help make a plan for more evaluation and management with either a primary care doctor or refer you to a specialist. If your doctor doesn’t ask about your mental health — and you’re concerned that you might be experiencing signs of depression or anxiety — bring it up yourself. 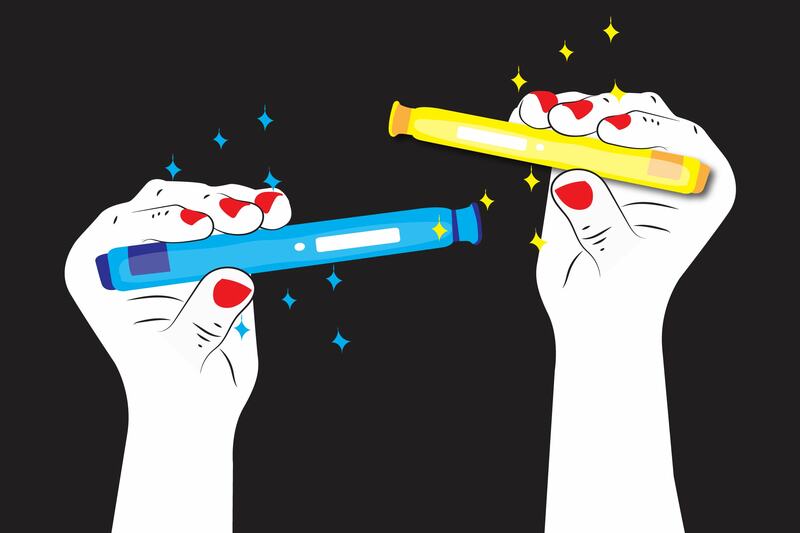 “Sometimes it doesn’t seem like there’s time and attention to these things in a medical encounter,” Adena Batterman, MSW, LCSW, senior manager of inflammatory arthritis support and education programs at the Hospital for Special Surgery in New York City, shared in a recent interview. She regularly coaches patients to broach their feelings with their doctor. Having untreated depression and anxiety isn’t just bad for your overall quality of life; it can also derail your arthritis treatment, which can in turn make your mental health issues worse — leading to a vicious cycle. Depression and anxiety are associated with increased disability and a worse response to treatment. There is no formula that can predict which arthritis patients will develop depression or anxiety, according to an article on SimpleTasks, a site from the American College of Rheumatology. Many factors — including biology, coping mechanisms, and a patient’s level of distress — affect whether or not someone with a rheumatic disease will also develop depression, according to Karen Smarr, PhD, clinical assistant professor of medicine at the University of Missouri, in the article. Only a fraction of people with depression and anxiety get treatment, however. 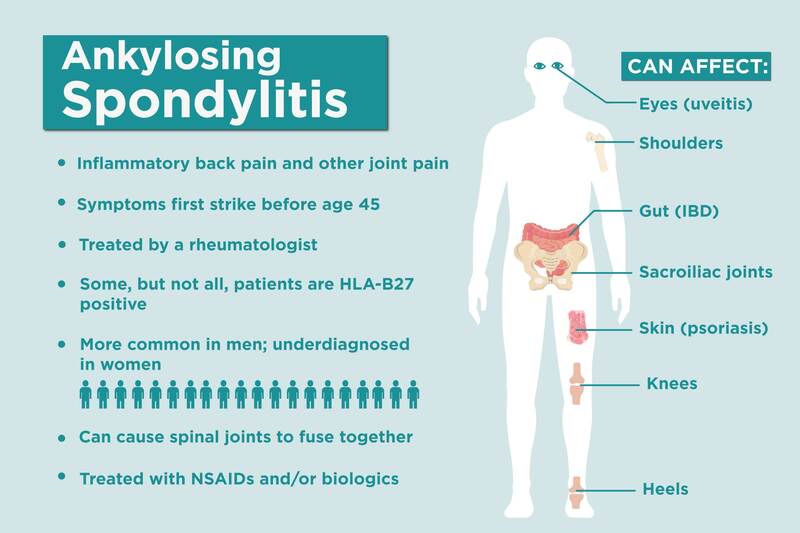 A big part of that may be due to patients’ reluctance to take medication or to add therapy to a schedule that’s already challenging to maintain along with arthritis symptoms like pain and fatigue. All of that is very understandable, but what’s most critical is that you don’t try to make these decisions on your own. People with depression and anxiety may experience brain changes that make them less aware of just how much they’re debilitated by their symptoms, which makes outside perspective and advice all the more important. And remember that just because you start medication or therapy for a mental health condition doesn’t mean you’ll need to stay with it indefinitely. Bottom line: If you think you are experiencing depression or anxiety along with arthritis or another rheumatologic disease, tell your rheumatologist or primary care doctor.